Even though you love your job, you are more than a salesperson. There are many facets to your personality and what you do for a living is only one of them. Before every title, label, or “hat” you must wear in life, you are human first. However, at some point in time, as a society, we collectively decided there is no room for “humanness” in business. Today’s customers are changing. As a result, companies need to reflect on their processes and shift their thinking about the ways in which to conduct business. Who you are and what you stand for as a human being are what audiences want to know. Share with them your backstory, personality, identity, and value — all of which make you human. This does not mean you should refrain from writing about your work, in fact, it is encouraged. Where you work and your job position is a part of your identity and ultimately, the value you provide customers, thus, should not be left out of your stories. Writing about your job is one way to connect with customers, but there are several things you have in common with your consumers that are worth exploring, blogging about, and sharing. Write about your local area; your contributions to your community; the achievements you have made; the value you provide customers, and information about the State where you work and reside. Connecting with audiences through your commonalities is a great way to show your human side. Consumers want to know more about the person behind the products and your stories need to be shared with your audiences via blog posts. With that said, writing may come naturally for some people, but for others, not so much. Practice, will help grow your writing skills and over time, you will find your writer’s voice. Making blogging much easier to do. In the meantime, you may count yourself amongst those who feel like blogging is more of a chore than a hobby and would agree that finding topics to write about is no walk in the park. 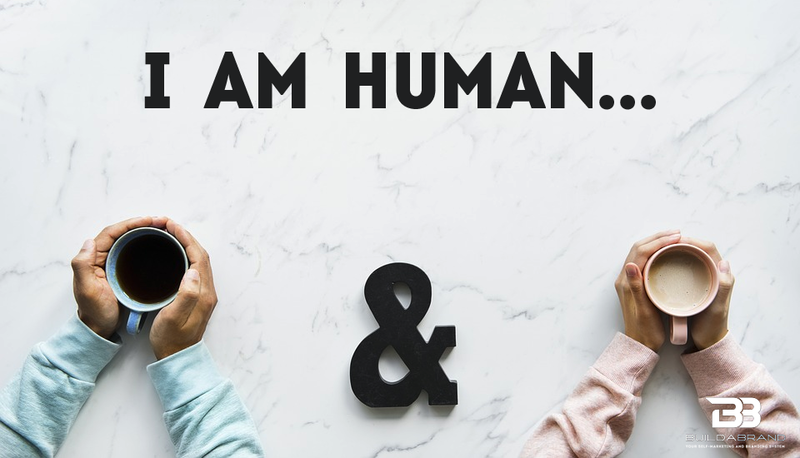 Here are 20 personal branding blog topics that show you are human too. Why you decided to work in your industry. How long you have been in your current position. Share your favorite local restaurant and provide reasons why it is your favorite. Tell the history of the company you work for. The training courses you have taken and how it helps you perform better at work. Why you love coming to work everyday. What tokens of appreciation you received from customers. Your participation in your local community. Share if you are a sports coach and what this position means to you. Share special community or work related events. Where you have volunteered to work in your local community. Tell readers why you chose to be a volunteer. What cool facts you know about the products you sell. When winning awards, like “Employee of The Month”. Share how you felt when you received them. What is your all-time favorite quote. Thank your customers for the opportunity to work with them. Provide helpful and relevant tips that will make your customers lives easier. Which product features are your favorite and why. Why providing excellent customer service is important to you. Share local/State history and facts – write about local old buildings, historic landmarks, the state flower, bird, and flag. What motivates you as a person and professional. Why you love where you live. It is important to write about the “whys” behind what you do and provide the “purpose”. Be descriptive in the verbiage you choose to use and keep blog titles between 40 to 60 characters in length (including spaces.) This is in the effort to not have your blog titles cut short when it shows up in Google or shared on different social platforms. Keep your blog topics, titles, and content appropriate and positive. You want people who read your blog posts to feel good and inspired. Add photos and videos to provide visuals about the topics you choose to write about. Personal branding blog topics are about sharing what humanizes you and to reveal information that resonates with your audiences, creating meaningful and lasting relationships with them. People no longer want to know about the “What” — what is the product, what does it do, and so on. They want know all about the “Who” and what makes you human too. What other blog topics can you think of that shows salespeople’s human side?